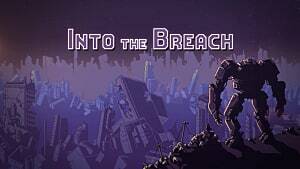 Pilots and mechs in Into the Breach make up the necessary duo to resist Veks, protect pods, and ultimately control the islands. Proper pilot/mech combinations in squads can easily lead you to a guaranteed victory even on the hardest difficulty. 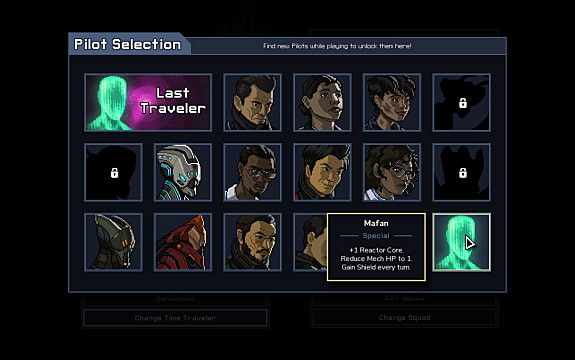 Currently, there are 24 pilots available in the game, including the AI pilot and cyborgs -- pilot/mech hybrids. 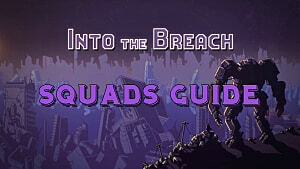 If you want to know how to unlock all of the pilots in Into the Breach and combine them with the best mechs, then follow our guide below. You don't need to unlock an AI pilot. 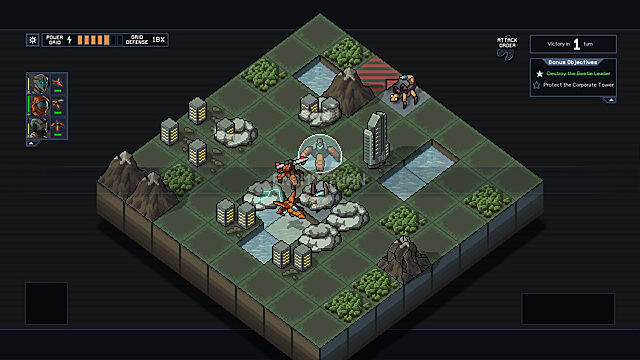 You get it automatically in case your main pilot gets killed, so every mech has a default AI pilot just to keep it going. You will get one of these four generic pilots every time you start a new timeline. They usually replace your AI pilot untill you get a better one. Ralph is the game's main protagonist and your default pilot. He gains you a +2 bonus XP per kill, which makes him great for leveling up in the beginning. 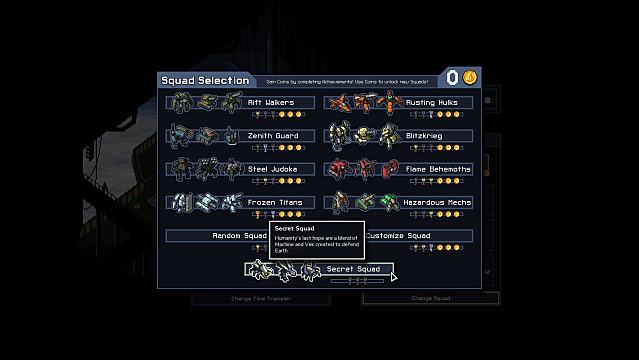 All of Abe's mechs automatically gain Armored ability, which protects them from damage. Here's an excellent offensive pilot that can move again after shooting. 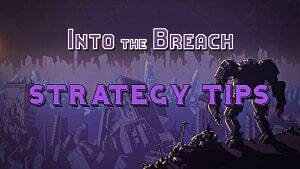 This pilot gives your mechs a protective shield at the start of each mission. This pilot protects mechs from such effects as Webbing and Smoke. Chen gains +1 Move after each attack, making him an extremely valuable offensive pilot. 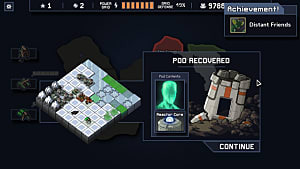 This non-human pilot can damage adjacent enemies and can be deployed anywhere on the map. Harold is a mechanic that is good for repairing mechs, and thus, outfitting other mechs. Henry has the ability to move through enemy tiles, which gives him a great advantage over other pilots. This would be a great beginner's pilot since he lets you reset one turn every battle. Lily should work with really slow mechs since she adds +3 Move on the first turn of every mission. If you want to make any mech fly, then this should be your pilot. This pilot allows your mech do two things a turn, if you don't move. This special pilot is completely immune to Fire and adds +3 Health to your mech. Highly offensive pilot with +2 Damage attack, which replaces Repair. Although Mafan reduces a mech's HP to 1, it also gains protective shield every turn. 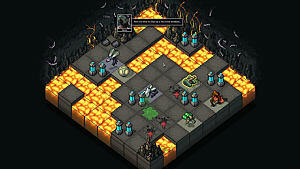 Cyborgs are pilot/mech hybrids that can be unlocked by completing all achievements and unlocking all other squads. This squad of mechs will benefit the most from such pilots as: Henry Kwan, Harold Schmidt, Chen Rong, and Archimedes. Henry Kwan can move into the enemy's position and attack them first-hand. Harold Schmidt can quickly repair any damage. Chen Rong and Archimedes can save your mechs in a dangerous situation with their additional moves. Since Rusting Hulks are mainly weather manipulators, they need protection from Smoke to avoid getting caught in their own traps. The best pilot for this squad is obviously Camila Vera since she is the only pilot that provides protection from Smoke. Charge Mech has an excellent ramming ability, but unfortunately, it damages itself in the process. That's why Abe Isamu will fit perfectly here, as he gives his mechs protection from damage. This squad uses electric charges and grappling hooks, which means that it will benefit the most from pilots who can move a lot in one turn, such as Chen Rong and Archimedes.